***GUIDE PRICE - £400,000 - £450,000 - CINEMA ROOM, GAMES ROOM & ROOF TOP GARDEN WITH VIEWS*** Located in a popular area of Upton within close proximity to the A1 with train stations in the next village offering direct routes to Leeds, Wakefield, Doncaster, Sheffield & York is this large extensive bungalow offering private and flexible accommodation throughout with views to the front aspect. The accommodation which has been extensively renovated by the current vendors over the past few years offers a tremendous amount of living space with four / five bedrooms and the potential to use part of the accommodation as a GRANNY FLAT. Outside there is a private mature enclosed garden with patio, internal courtyard and spiral staircase to a roof top garden enjoying the views. ***OPEN PLAN FAMILY LIVING KITCHEN - LARGE GROUNDS - DOUBLE & SINGLE GARAGES*** Located on the fringes of town close to fields yet in an excellent position for commuting with train stations in the next village and A1 link road close by. 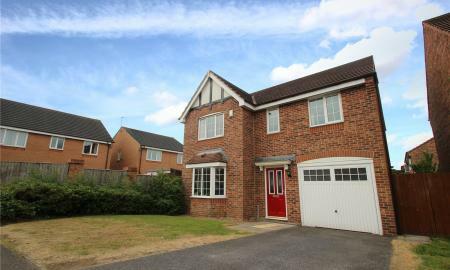 The accommodation which has been vastly extended briefly comprises:- reception hall and inner hall, cloakroom with w.c, living room, large open plan kitchen-diner with living area off, stairs and landing, four double bedrooms, unsuited shower room and house bathroom. Further staircase leads off landing area to two bedrooms and w.c. Outside there is electric gates to large parking area, double garage with room above and single garage plus enclosed private rear lawned garden. ***PRIVATE POSITION, VIEWS & INDOOR SWIMMING POOL*** Positioned in a private elevated position with far reaching views is this individual detached family home offering flexible accommodation throughout. Located within a few minutes drive of the A1 and with trains stations in the next town having direct access to Leeds, Wakefield, Doncaster, Sheffield & York this property is great for any person needing to commute. 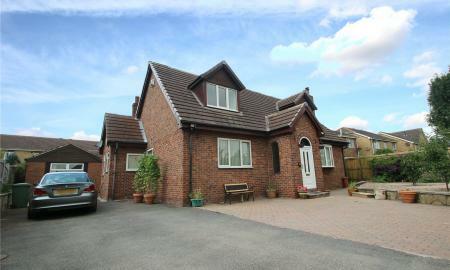 The accommodation which is set on a good sized plot with double and single garages plus a large building housing a heated indoor swimming pool briefly comprises:- reception hall, living room, dining room, dining kitchen, utility room, cloakroom housing w.c, family room, conservatory and balcony all to the ground floor. 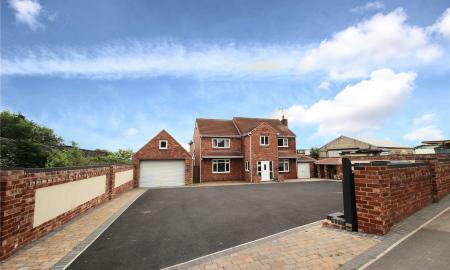 The first floor has three double bedrooms, ensuite shower room and house bathroom. 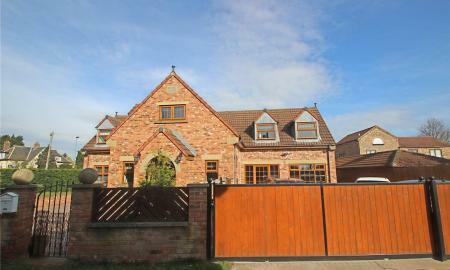 Further storage rooms under the front of the property complete this fantastic property which must be viewed to appreciate. 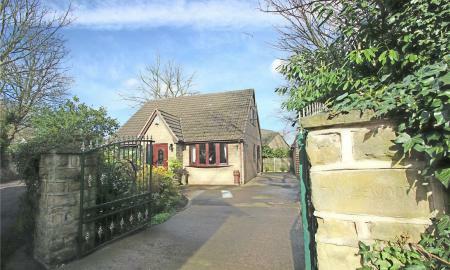 ***EXCLUSIVE CUL-DE-SAC WITH FAR REACHING VIEWS*** Located in a sought after cul-de-sac on the fringes of South Elmsall close to Schools, train stations and the A1 for commuting is this large stone built detached dormer bungalow with private well tendered gardens and ample parking. The accommodation internally briefly comprises:- Reception hall, utility room, dining kitchen, dining room, living room and conservatory. 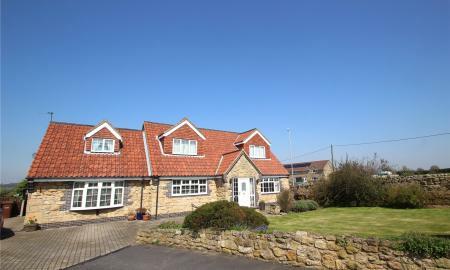 Ground floor bedroom and stunning bathroom with free standing bath and open shower. Stairs and landing then lead to three first floor bedrooms and second bathroom. 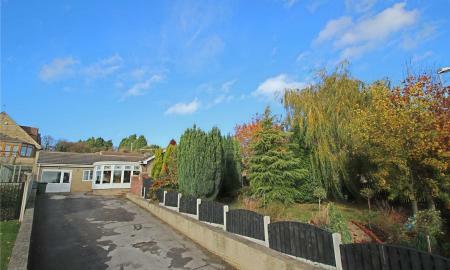 ***LARGE GARDENS - POTENTIAL BUILDING PLOT*** Four bedroom detached bungalow set on large plot. 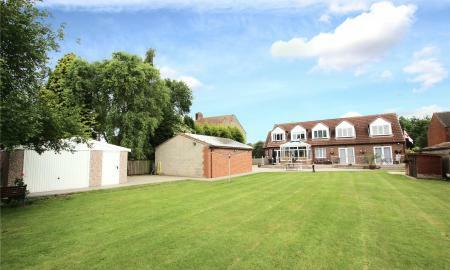 Potential for building plot (subject to necessary planning permission) Ample driveway and garage parking. 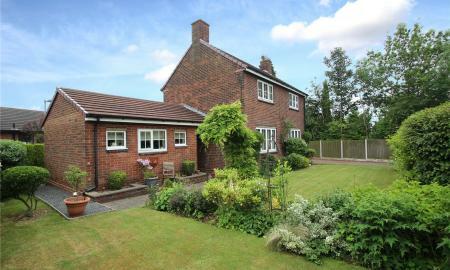 The property is in need of modernisation throughout but does benefit from gas central heating and a combination boiler. 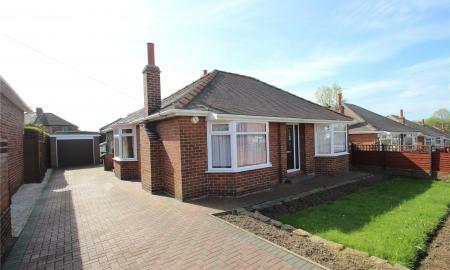 This bungalow must be viewed to appreciate the potential and space on offer. 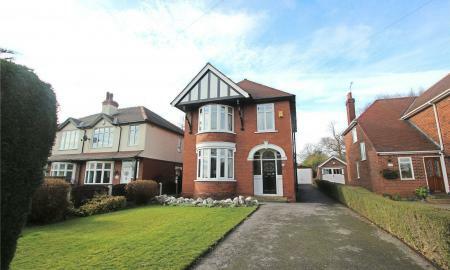 ***PERIOD PROPERTY IN SOUGHT AFTER LOCATION*** Located in a popular area of Hemsworth close to schools, town centre amenities and within a short drive of Train Stations is this period property offering charm and character with loads of potential for a fantastic family home. The accommodation briefly comprises:- storm porch to reception hall, cloakroom housing W.C, living room, dining room and extended breakfast kitchen. Stairs and landing then lead to three bedrooms and a bathroom. 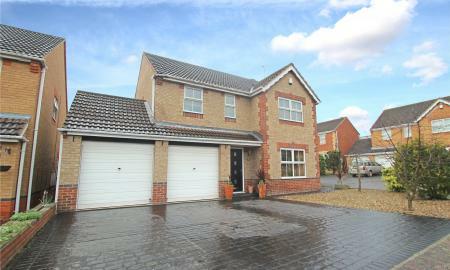 Outside there is a long driveway to a detached garage, lawned front garden and a private long rear lawned garden with patio. ***GRANNY FLAT / ANNEX OR JUST FANTASTIC LIVING SPACE*** Located in a popular area of South Elmsall within a 5 minute walk of Train Stations and town centre amenities is this large four bedroom family home which has had the double garage converted into further accommodation suitable for use as a granny flat / annex. 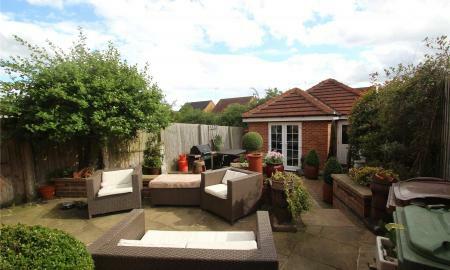 There is a good sized private corner garden, large open plan family kitchen-diner with living space, house bathroom, ensuite shower room and further 'Jack and Jill' ensuite shower room. Cul-de-sac position and a must view. 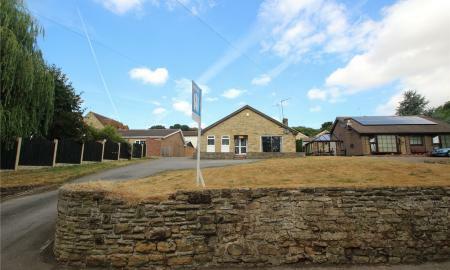 ***GUIDE PRICE £250,000 - £275,000, - PRIVATE LOCATION & GOOD SIZED GROUNDS - LARGE SNOOKER / GAMES ROOM*** Tucked away down a private lane yet conveniently located for schools, shops and train stations is this large four / five bedroom detached dormer bungalow which offers space in abundance. 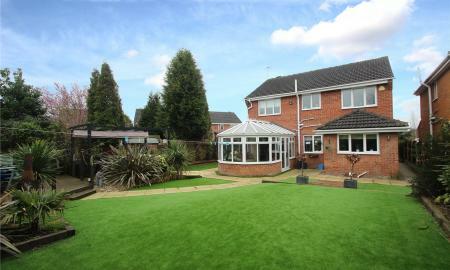 Having private enclosed grounds the accommodation briefly comprises:- entrance porch and hallway, living room, large family dining room, kitchen, utility room and games room large enough to fit full size snooker table. Ground floor bedroom with walk in wardrobe and house bathroom complete the ground floor. 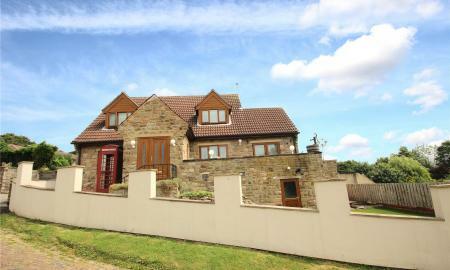 Staircase then leads to a galleried landing with three large double bedrooms and a large shower room. Outside there are gardens to the front and rear with ample parking. 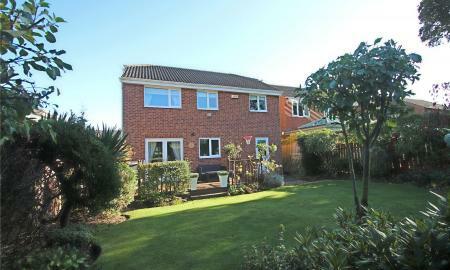 ***GUIDE PRICE £240,000 - £250,000 - PRIVATE GARDEN BACKING ONTO FIELDS*** Located in a sought after cul-de-sac position backing onto fields with a stunning private mature garden, double width driveway and integral garage is this well presented detached family home which must be viewed. The accommodation internally briefly comprises:- entrance hall, living room, dining room, breakfast kitchen and cloakroom with WC. Stairs and landing then lead to four good sized bedrooms all of which have fitted wardrobes, ensuite shower room and house bathroom. ***GUIDE PRICE £220,000 - £240,000 - PRIVATE INDIVIDUALLY BUILT DETACHED BUNGALOW*** Tucked into a private position yet close to local amenities, town centre amenities and train stations is this stone built detached chalet bungalow with gardens to three sides, ample parking and detached garage. The accommodation briefly comprises:- entrance hall, living room, breakfast kitchen, dining room which was previously the fourth bedroom, bathroom, third bedroom, stairs and landing, two further double bedrooms and vanity room with sink unit which previously had a shower in. ***GUIDE PRICE £215,000 - £225,000 - EXTENDED FAMILY HOME WITH BI-FOLDING DOORS ONTO GARDEN*** Offering spacious expansive living space and four double bedrooms is this extended family home which offers flexible accommodation. 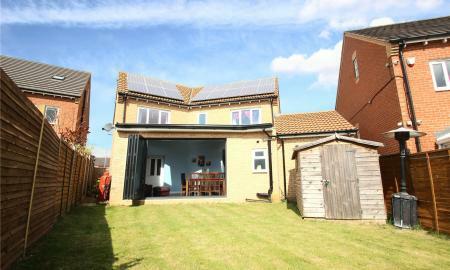 The current vendors have extended the property at the rear to offer open plan living which can also be separated off. Bi-folding doors onto a private rear garden and there is a driveway and garage. 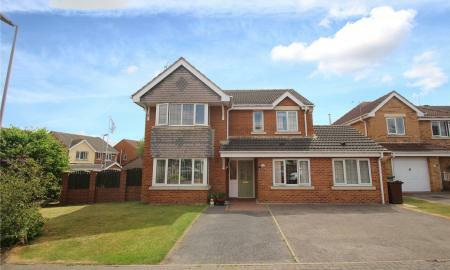 Located near schools and town centre amenities this really is a property not to be missed. ***GUIDE PRICE £215,000 - £225,000 - RENOVATED DETACHED FAMILY HOME ON SMALL DEVELOPMENT*** Located in a popular area of South Kirkby within a short drive of the A1 link road and two train stations with direct access to Leeds, Wakefied, Doncaster, Sheffield & York is this immaculate detached family home which has recently been upgraded / renovated by the current owners. The accommodation briefly comprises:- entrance hall, living room, dining room, kitchen and cloakroom housing w.c. Stairs and landing, four bedrooms, ensuite shower room and house bathroom. 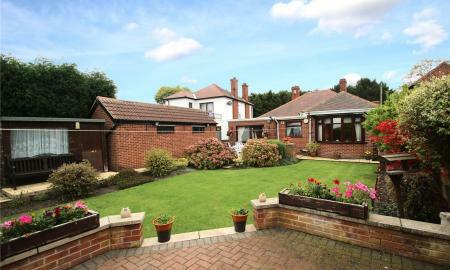 Good sized gardens to front and rear, driveway and garage. NO UPWARD CHAIN. 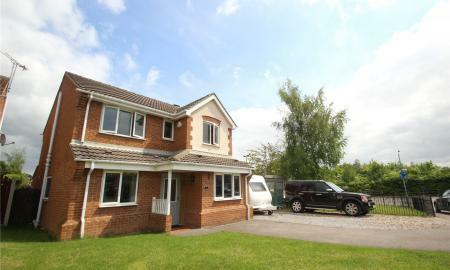 ***FOUR DOUBLE BEDROOMS*** Located in a popular area of South Hiendley close to fields yet well positioned for commuting between Barnsley, Wakefield, Leeds & Doncaster is this spacious four double bedroom detached family home. The accommodation briefly comprises:- entrance hall, cloakroom with w.c, living room, dining room, dining kitchen and utility room. 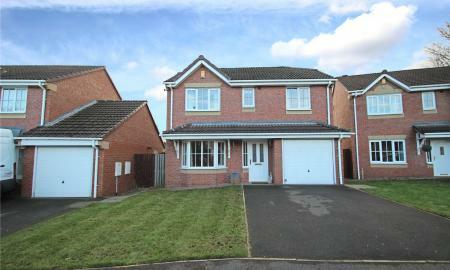 Staircase and galleried landing then lead to four double bedrooms, house bathroom and ensuite shower room. 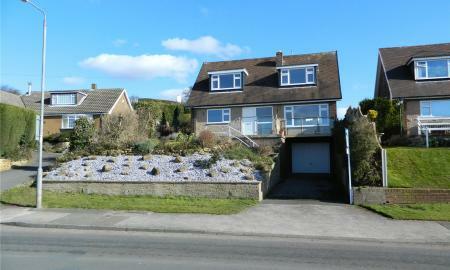 Front garden, driveway to integral garage and rear enclosed garden with patio. 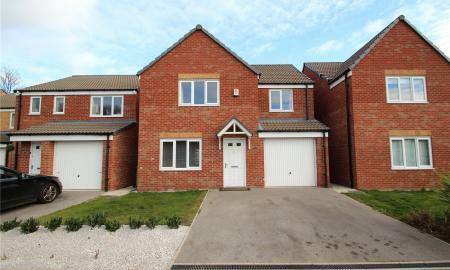 ***GUIDE PRICE £185,000 - £195,000 - POPULAR LOCATION CLOSE TO SCHOOLS AND FIELDS*** Located in a popular area of South Kirkby close to schools, fields and within a short drive of train stations and the A1 link road is this modern four bedroom detached family home which must be viewed. The accommodation briefly comprises:- entrance hall, living room, open plan kitchen and dining room, utility room and cloakroom housing w.c. Stairs and landing then lead the four bedrooms, house bathroom and ensuite shower room. Outside there is a double width driveway, open plan front garden and a good sized rear lawned garden with feature decked seating / patio area. NO UPWARD CHAIN.